In 2010, Fara Palumbo was named senior vice president and chief human resources officer for BCBSNC, a leader in delivering innovative health care products, services and information to more than 3.5 million members. The company is one of the fastest growing Blues Plan in the U.S. with $5.2 billion in annual revenues and 4,700 employees in 2009. Palumbo led the repositioning of the company’s employment brand including: understanding and evaluating the current state of the brand; assessing potential refreshed brand themes; and designing and delivering a compelling and credible employment value proposition. Fara is also the primary driver behind the company’s major life/work initiatives, including the design, development and implementation of a backup childcare center – the first backup center in North Carolina. Many of these programs and facilities were fundamental to the company’s employment offer and positioned them to qualify for Working Mother 100 Best Companies in 2007, 2008 and 2009. 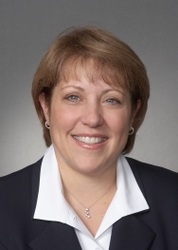 Palumbo has been with Blue Cross and Blue Shield of North Carolina (BCBSNC) for 14 years with steadily increasing responsibility for Human Resources services supporting business performance, including staffing, organizational design and development, policy interpretation and administration, and employee relations. Prior to joining BCBSNC, she worked in Human Resources with Citibank in New York for 14 years in a variety of leadership positions in both the Retail and Investment banks, rising to the position of vice president of HR for the Global Securities Division. Palumbo has been past chair and vice-chair of the BCBSNC United Way Campaign as well as the corporate chair for the Susan G. Komen Walk for the Cure. She serves on the board of the Triangle Youth Ballet and has been a past member of their Parent Guild. Fara obtained her MS in Organizational Management from Pfeiffer University, and a BA in psychology from Fordham University. She is married and has 2 children.